UP Institute of Design B.Design Admissions will be based on UCEED 2018 Scores. Manual registration and counselling for UP Institute of Design Noida will be conducted in the 3rd week of July 2018. Details regarding B.Design Admission in UP Institute of Design Noida is given on this page. B.Design Offered in UP Institute of Design Noida- ‘Bachelor of Design’ (B.Des) program is a four years bachelor degree program. The admission in B.Des program will be based on the scores of UCEED 2018 examination which conducted by the IIT Bombay, Mumbai. U.P. Domicile candidates who cleared UCEED 2018 examination will get admission in B.Des program thereafter vacant seats (If any) will be filled by UPSEE- 2018 qualified candidates of Architecture stream/ B. Tech stream. The reservation of seats will be as per U.P. State government rules. UP Institute of Design Noida, Uttar Pradesh is founded by Dr A. P. J. Abdul Kalam Technical University, U.P., Lucknow. UP Institute of Design that offers Bachelor of Design (B.Des) program to the students. Candidates have to clear Intermediate (10+2) or equivalent examination from the recognised Board. Candidates must have a valid score card of UCEED 2018 entrance examination. In the case of vacant seats, candidates who UPSEE 2018 qualified can also apply for this program. The registration fee has to be paid by the candidates in the form of Demand Draft in favour of ‘Finance Office, AKTU’ payable at Lucknow. The admission fee has to be paid through offline mode. Candidates have to send the application fee through Demand Draft drawn in the favour of ‘Finance Office, AKTU’ payable at Lucknow. It is to be noted that the demand draft has to be paid on the day of admission. The selection of candidates will be based on the scores of UCEED 2018 of UPSEE 2018 entrance examination. The merit list will be prepared after the declaration of UCEED & UPSEE result. U.P Domicile UCEED Qualified Candidates - U.P Domicile candidates who cleared UCEED 2018 examination will get admission in B.Des program thereafter vacant seats (If any) will be filled by UPSEE- 2018 qualified candidates of Architecture stream/ B. Tech stream. The reservation of seats will be as per U.P. State government rules. UP Institute of Design Counselling Venue- Dr A.P.J. 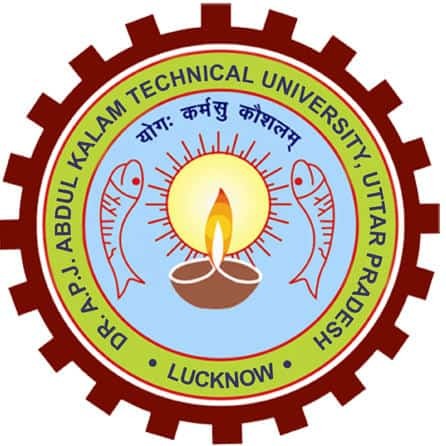 Abdul Kalam Technical University Uttar Pradesh, Noida Campus, C-22, Sector-62, Noida, Uttar Pradesh-201301. Counselling for UCEED-2018 qualified candidates - The selected candidates will be called for the counselling process. Registration will be done in the 3rd week of July 2018 and the first round of counselling for UCEED 2018 candidates will be conducted 3rd week of July 2018. Candidates have to carry Demand draft of Registration and Admission fee along with the required documents. Counselling for UPSEE-2018 qualified Architecture/B.Tech stream candidates- The candidates have to report along with their UCEED-2018 rank card and all the relevant documents (some of them are listed below). Manual Registration will be done in the last week of July 2018. Seat allotment will be done in the last week of July 2018, first from the UPSEE-2018 qualified candidates from Architecture stream. If seats remain vacant (If any) then the UPSEE-2018 qualified candidates from B.Tech stream will be considered for admission. Next round of Counselling for UPSEE-2018 qualified candidates will be conducted in the last week of July 2018 from the general category candidates after merging all the vacant seats of various reservation categories. The first option will be given to the UPSEE-2018 qualified candidates from Architecture stream. If seats remain vacant (If any), then the UPSEE-2018 qualified candidates from B.Tech stream will be considered for admission. UCEED- 2018 Rank Card/ UPSEE-2018 Result Card (whichever is applicable). High School Mark Sheet and Pass Certificate. Intermediate Mark Sheets and Pass Certificate. Caste Certificate (If Applicable) in prescribed format. Demand Draft of Registration Fee. The reservation of seats will be as per U.P. State government rules. There is a total of 40 B.design seats offered at UP Institute of Design Noida.